Bob Dylan’s new record, “Tempest”, is just what one would expect from a new Bob Dylan record; the timeless music, the poetic words and tricks, the infamous weathered voice, and of course, all the hype that goes along with a new Bob Dylan record. Bob Dylan is a living, breathing oracle and a great artist who continues to create vital and impressive material. Bob made this record with his current touring band, including Charlie Sexton on guitar, Stu Kimball on guitar, Donnie Herron on the steel guitar, banjo, violin, and mandolin, George Recile on drums, and Tony Garnier on the bass guitar. David Hilgado from Los Lobos joins the band on “Tempest”, playing guitar, accordion, and violin. Hilgado also played with Bob on the “Together Through Life” record. “Tempest” starts out with a nostalgic string introduction that sounds like some old Texas swing; think Spade Cooley or Bob Wills. The first song is called Duquesne Whistle and is the only song on “Tempest” co-written with Robert Hunter, the lyricist from the Grateful Dead and a guy who knows how to write a railroad song. Hunter also worked with Dylan in the past including writing ‘Silvio’ and most of the songs from “Together Through Life”. The rest of the record features songs only Bob Dylan could write. Bob is well-armed and he is hunting bare! He’s got his fiddle all tuned up and he’s breaking it wide open with swing, blues, folk, rock, and pure Americana. It’s all right there for you on “Tempest”; The characters on this album are either going down with the Titanic, living long and wasted years in Scarlet Town, involved in some murderous lover’s triangle or even traveling the long and narrow way down the Duquesne railway soon after midnight. They might be getting shot in the back or fighting their foes with whiskey, morphine, and gin. It’s a rough bunch and Bob has been hanging out with the rowdy men. 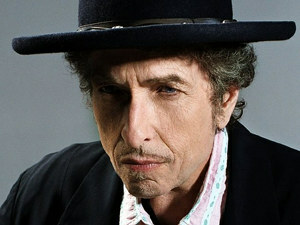 Bob Dylan is on tour with Mark Knopfler as I write this piece. This writer is looking forward to attending the November 5th show in Madison at the good ol’ Dane County Coliseum and in Milwaukee on November 8th at the Bradley Center. Bob has only played one song, ‘Scarlett Town’, once live, and I’m thinking he might break out some more “Tempest” when he gets back home to the Midwest. Get In Town Early! Don’t You Dare Miss It! Future Perfect!! !